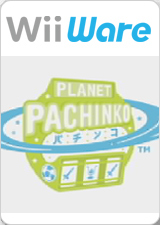 Can you survive the Pachinkeet Temples of Planet Pachinko? In the future of the future, an ancient civilization has sealed away their riches in elaborate temples dedicated to the game of pachinko. Now the Robot family must fight through the dangerous temples in search of their lost puppy. Using their rockets, lasers, grenades, and slime launchers, will they be able to survive the challenges? They aren't the only ones adventuring through the temples. The pirate Vile Vill and his minions are looking to loot the temples, and take on the Robot family as well. Play single player or with a friend in exciting two-player co-op. The graph below charts the compatibility with Planet Pachinko since Dolphin's 2.0 release, listing revisions only where a compatibility change occurred. This page was last edited on 7 February 2018, at 13:02.